Product prices and availability are accurate as of 2019-04-18 18:37:10 UTC and are subject to change. Any price and availability information displayed on http://www.amazon.com/ at the time of purchase will apply to the purchase of this product. 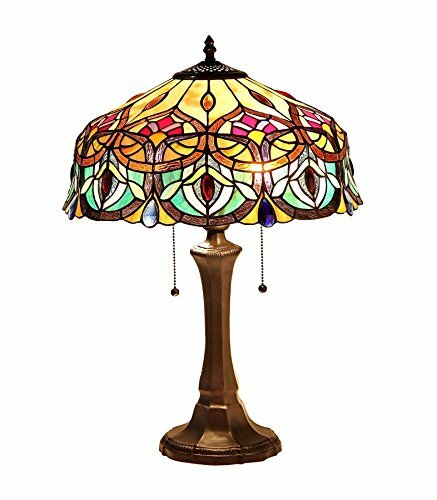 LYDIA, a Victorian style table lamp, will provide the design focal point for your home. Expand the effect by adding one or more of the other lamps in this design style. Expertly handcrafted with top quality materials including real stained glass, sparkling crystals and gem-like cabochons.